The Cook County Sheriff’s Office is pursuing a diverse selection of dedicated deputies interested in public service and a mission driven approach to the criminal justice system. 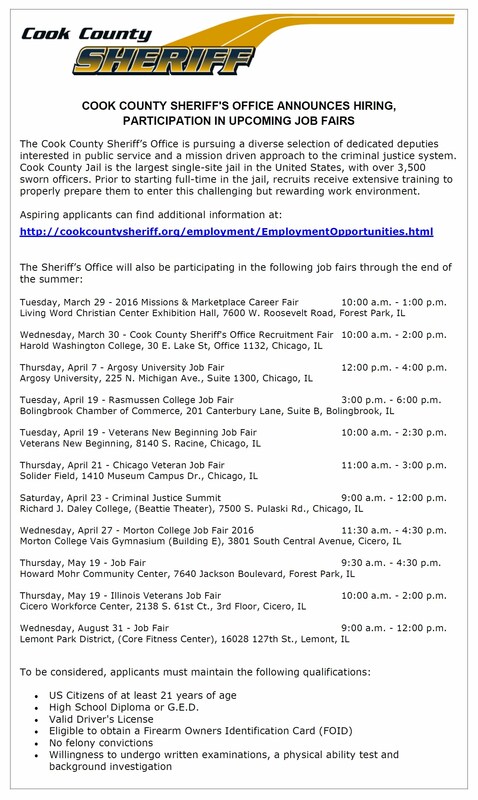 Cook County Jail is the largest single-site jail in the United States, with over 3,500 sworn officers. Prior to starting full-time in the jail, recruits receive extensive training to properly prepare them to enter this challenging but rewarding work environment.